Bobby Fischer (March 9, 1943 - January 17, 2008) was a US master and World Chess Champion. He dominated his contemporaries in a manner not seen before or since. He won the Match of the Century to become World Champion in 1972. He was born in Chicago, Illinois but moved to New York at the age of six where he grew up. It was around this time that he learned to play chess. He was deeply fascinated with chess right from the start and gained in playing strength quickly. By the age of 15, he was a GM and a US champion, the youngest player ever by that time to have achieved these feats. He was also the youngest player to compete in an Interzonal Championship and later a Candidate's Tournament. He won every US Championship he ever competed in, including a clean sweep in 1963-64 (11-0). Fischer won the World Championship against Boris Spassky at the age of 29 in stunning fashion. In a life and chess career that showed some remarkable parallels with Paul Morphy a century earlier, he withdrew from chess and to fair extent from life while at the height of his powers. You can upload articles and games from Bobby's life and times. Bobby was born in Chicago in 1943. He was one of two children to a single mother, Regina. His sister's name was Joan. The family moved to New York in 1949. Regina bought a chess set for the children from a candy store. They learned the rules from the instructions and Bobby became engrossed with the game. He immediately began to spend all of his time playing chess. He read every chess book he could get his hands on. A local chess master called Max Pavey was giving a simultaneous exhibition in 1951 and young Bobby was on one of the boards. He was beaten relatively quickly but must have done enough to impress Carmine Nigro. He was the President of the Brooklyn Chess Club and invited Bobby to join which he did. Fischer's game improved steadily between the ages of eight and thirteen. In 1956 he was sitting on a rating of 1726, but this would be the year he would make his first real leaps and bounds toward greatness. He won the United States Junior Chess Championship in July 1956 and still remains the youngest winner. He finished joint fourth in the US Open Chess Championship, a senior event. Fischer got a wild card to enter the Lessing J. Rosenwald Trophy Tournament, normally reserved for the top 12 US players. He finished joint 8th with 4.5/11. It was during this event that he played his now infamous Game of the Century, a breath taking victory against Donald Byrne. Everyone in American chess knew Bobby Fischer now. The USCF invited their newly found shining star to compete in his first US Championship in 1958. Among the field were six-time-champion and world star Samuel Reshevsky, defending champion Arthur Bisguier and World Junior Chess Champion William Lombardy. Fischer was not expected to get higher than the middle of the pack. Many people thought that it would be a fight between Reshevsky and Bisguier for the title. Bisguier himself predicted that Fischer would "finish slightly over the center mark". Fischer was working off a different script and caused a huge upset. He won the tournament, a point ahead of Reshevsky, to become the youngest ever US champion. He was still only 14. That record still stands today. His victory earned him the title of International Master and qualified him to play in the Interzonal Championship. Fischer arrived in Portoroz, Slovenia to compete in the Interzonal Championship in 1958. It would be played in a league format and the top six would qualify to play in the Candidate's Tournament the following year. Again no one expected too much from a skinny 15 year old. Most experts thought he would gain a lot of experience from it but not much more. His time would come later. Fischer had much different ideas and told the reporters as much. "I can draw with the grand masters, and there are half a dozen patzers in the tournament I reckon to beat", he told them. And then he backed it up by doing exactly that. He finished up with 12/20 to take joint fifth. This made Fischer the youngest ever GM and the youngest ever qualifier for the Candidate's Tournament. The Candidate's Tournament of 1959 was held in three Balkan cities. Bled, Slovenia along with Zagreb, Croatia and Belgrade, Serbia were the venues. Fischer arrived on the back of some good form. He had retained the US Championship that year. He also recorded strong finishes against tough competition in Mar del Plata, Santiago, and Zurich. Fischer would face seven others in a league format. The eight competitors would play 28 games, four against each opponent. He did quite well, finishing fifth out eight with 12.5/28. He lost all four games against eventual winner Mikhail Tal and this would prove decisive. Tal beat Mikhail Botvinnik the following year to win the World Championship. Fischer was entering the best period of his career. He again won the US title in 1960 and '61. He breezed to victory in the Interzonal Championship of 1962. It was held in Stockholm, Sweden. Fischer scored and undefeated 17.5/22 to finish 2.5 points clear of the field. The Candidate's Tournament did not go so well as Fischer finished fourth behind Petrosian, Gellar and Keres. In what would become his familiar outspoken disposition, Fischer accused the Soviets of fixing results with pre-arranged draws to freeze everyone else out. The ongoing war of words convinced FIDE to change the format in future Candidate's Tournaments. After that the eight qualifiers would play straight knock-out instead of league, eliminating the potential for collusion. Fischer's behavior was becoming more erratic as time went on. His brilliant play on the board was difficult to reconcile with his antics off it. He annihilated the field in the 1963-64 US Championship winning all 11 games. He then inextricably pulled out of the Interzonal Championship in Amsterdam, Holland later that year. This decision meant he was out of the race for the World Championship in 1966. He continued with his red-hot form in North America but largely ignored FIDE and the scene at world level for a couple of years. He did compete in the next Interzonal Championship in Sousse, Tunisia in 1967. But in what was by now customary behavior, he withdrew while leading the event in a spat over scheduling. Fischer would miss out again due to his own intransience. In 1969, Fischer decided that once and for all, come hell or high water, he was going to be the World Champion. He was determined to break the Soviet stranglehold on chess. With the new rules for the Candidate's Tournament, it would be all down to him. He won the US Championship yet again to reach the 1970 Interzonal Championship held in Palma, Majorca in Spain. Fischer won the event by 3.5 points, a record, playing with extraordinary form. He won 15 games, drew 7 and lost only 1. The utter dominance continued at the 1971 Candidate's Tournament. He blew Mark Tamainov and Bent Larsen out of the water in the quarter and semi-final stages, both on a 6-0 score line. In the final, after early resistance, he took out former champion Tigran Petrosian on a score of 6½-2½, with Fischer winning the last four games. Boris Spassky was the last Soviet standing in his way. Fischer would face him the following year in the Match of the Century. 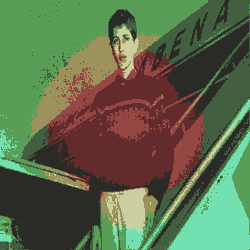 Bobby Fischer would face the strongest Soviet player at the time for the championship in 1972. The reigning World Champion was Boris Spassky who played a good flowing positional game laced with deep sacrificial plots. Fischer was keen to strike a blow to the Russians here in the Cold War Era in a field they had long dominated. He had accused them in the past of closing ranks on the rest of the chess world and now he wanted to prove that he was greater than all of them. He wasn't merely taking on one man, Boris Spassky. He was taking on the entire Soviet chess empire. US establishment wanted their man to humble the Soviets, the USSR were just as eager to see their champion slap America down. The two players were styled as gladiators, each representing his civilization against the nemesis, in a proxy war. Chess was under the global spotlight like never before or since as the two protagonists faced off in what would be dubbed the Match of the Century. But after that Fischer, who had come into the match on a recent 20 game winning hot streak found his form. He won five of the next eight games to lead by three points after 10 games. The second half of the match was very tight with mostly draws. Fischer won two further games to Spassky's one. The final score was 7-3 with 11 draws. Fischer was the champion. For all intents and purposes, Bobby Fischer essentially retired after his victory in Reykjavik. He did not play any competitive chess between 1972 and 1975. 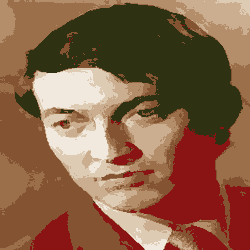 When the cycle came round, Anatoly Karpov emerged from the pack as Fischer's challenger. Fischer sent a telegram to FIDE outlining three non-negotiable proposals for the match against Karpov. Firstly, the winner would be the first one to reach 10 wins, draws would not count. Secondly, there would be no limit to the number of games played. They would simply continue playing until one of them reached 10 wins. Finally, in the event of the score going to 9-9, the match would be declared a draw, the match stakes would be split evenly and Fischer would remain the champion. Fischer basically dropped out of competitive chess after that. He became more and more outspoken on political issues. In particular he was increasingly critical of US foreign policy, and of it's relationship with Israel. Fischer spent 20 years in obscurity with occasional interruptions caused by controversial statements. Then in 1992 he staged a Revenge Match of the 20th Century against Boris Spassky. He won the match 10-5 with 15 draws. It was his last foray into professional chess. He had a bitter dispute with his own country the United States due to his outspoken criticism of American policy and unpaid taxes. He was also in trouble for playing the match against Spassky in Yugoslavia at a time when it was illegal for US citizens to do so because of the political situation there in '92. He eventually had his US citizenship rescinded and took up Icelandic citizenship where he lived out the remainder of his life. Fischer mastered many kingside opening systems. "1.e4 is best by test" was his mantra and as White he had a deep affection for his light-square bishop. You can see in many of his famous games how he would quickly play Bc4-b3. There it could make it's influence felt on the a2-g8 diagonal for long periods of the game. He was an authority on the Ruy Lopez contributing ideas in several lines within it including the Exchange Variation. On the Black side he developed lines for the Najdorf Variation in the Sicilian and the King's Indian Defense. His significant contributions to chess theory are put in the shade by his services to chess away from the board. Before Fischer, chess was rightly or wrongly seen as an obscure pastime played by stuffy old men and socially inept youths. It had no media coverage worth talking about, it was totally irrelevant. With his rebellious persona allied to his chess genius Fischer made chess cool. The problem with biographies is you must concentrate on breadth and can never go as deep as you would like. You can mention the major events in someone's life but can't allow yourself to indulge in intricate detail. Bobby Fischer was one of a handful of players who have a case for being arguably the greatest chess player of all time. He also courted controversy throughout his life. He reached his peak during the Cold War Era and was the US hero taking on the Soviet chess juggernaut. There must be countless anecdotes and interesting accounts of different episodes and incidents throughout his days. Some of these accounts give us an insight into what kind of man he was, what made him tick. Or if you prefer you could annotate one of his games, reflecting his genius over the board. Do you know of an interesting story or game from the life of Robert J Fischer? 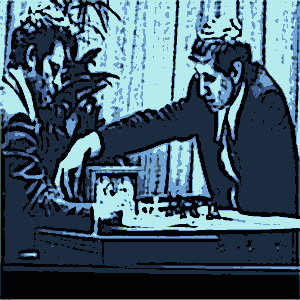 Share Your Bobby Fischer Anecdotes or Games With Us. There's no doubting Bobby Fischer's contribution to chess. No one outside bona fide chess people really cared about chess. Then Fischer came along, a brash, mouthy upstart, but with the talent to back it up. He became a national hero in the US and a role model for dissent against establishment worldwide. He put chess on the map in a way that no one else could and since Fischer the image of the game has changed irrevocably. His successor as World Champion could not have been more different in terms of personality. Fischer's temperamental volatility would be replaced by quiet, unassuming self assurance. That self assurance was derived from a concrete, rock-solid positional game. That game belonged to Anatoly Karpov. This link takes you from Bobby Fischer back to your Homepage. Your Homepage is where you get a site overview. There you can see all of the resources on offer in this web site.